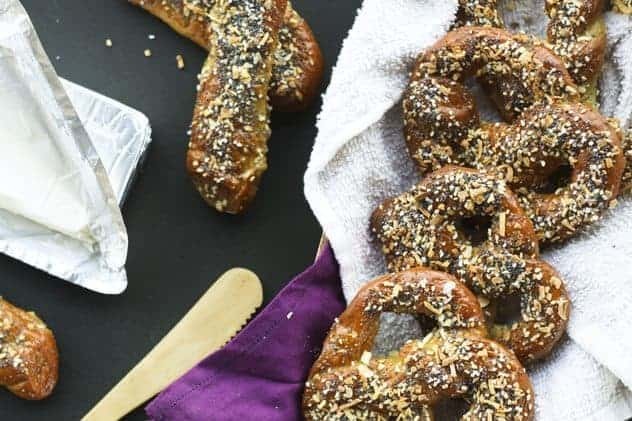 Visit our Bread Recipes page for more wonderful homemade bread recipes like these Everything Soft Pretzels! *Wanton use of Latin proves either my royalty or the fact that I’m a homeschooling mom. I think this calls for a serious application of my snack food bonafides. (MORE LATIN!) There is no better way to kick off National Snack Food Month than with the King of All Snack Food (no relation): SOFT PRETZELS! Clearly, I’m excited here. I’m so excited I’m all capsy. Or should I say, I’M ALL CAPSY!? And exclamation marky?!?!! I’m sorry. Snack food thrills me. Soft pretzels are one of my all-time favourite foods. On any given day at any given time any given person could walk up to me and say, “Would you like a soft pretzel?” and I would, in all likelihood, say, “Yes, please, stranger. I will eat this glorious soft pretzel you have offered to me.” (Because I’m also queeny and perpetually hungry.) I do not turn down soft pretzels. …As Queen of Snacks, I feel obliged to give this best of months with something extra spectacular, and so, I give you: The Everything Soft Pretzel. Oh yes. Sidebar: If anything comes close to the magical, mystical soft pretzel in the hierarchy of my snack food affection, it is most definitely the everything bagel. I love pop and crackle of the garlic flakes, onion flakes, poppy seeds, sesame seeds and coarse salt on top of the chewy brown bread in each bite. Cream cheese is not negotiable. It’d better be on there and thick, I tell you. End sidebar. Bonus Sidebar/Confession: Every single time I attempt to type “poppy seeds” (including the one immediately preceding this parenthetical reference) I accidentally type “poopy”. Also in veritas. More Latin. End bonus sidebar. How good are these? Let me paint you a picture… You open the oven and a blast of the scent of hot, freshly baked bread mingled with toasted garlic and onion hits you. The tray is full of deep, glossy brown everything soft pretzels topped with a crusty layer of garlic and onion bits, poppy and sesame seeds and crunchy salt. You force yourself to wait five minutes so you don’t burn off a layer of skin from the inside of your mouth. You smear cold cream cheese on the pretzel and some seeds and bits fall away. You don’t want to waste any of it so you touch the side of the cream cheese coated knife to them and glance around you. No one’s looking so you carefully eat it from the knife. But then you sink your teeth into that pretzel. The cream cheese is still mostly cold, but has started melting just a bit where it is sitting on the warm pretzel. Crackle, pop, BAM, mmmmmm. This is everything a snack food should be. EVERYTHING. It’s not just an everything bagel topping pretzel it is the EVERYTHING SOFT PRETZEL. I’m off to go rest my capsy fingers and eat another pretzel, but first, a royal poll question: What’s your favourite snack food ever? Do you tend to like savoury or sweet snacks better? And do you think you’d like these better with cream cheese or beer cheese dip? Now off with you. 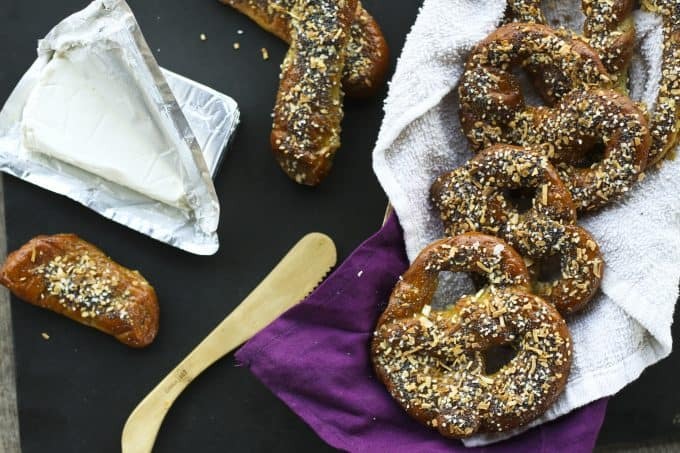 I declare that you shall make these Everything Pretzels and eat them. 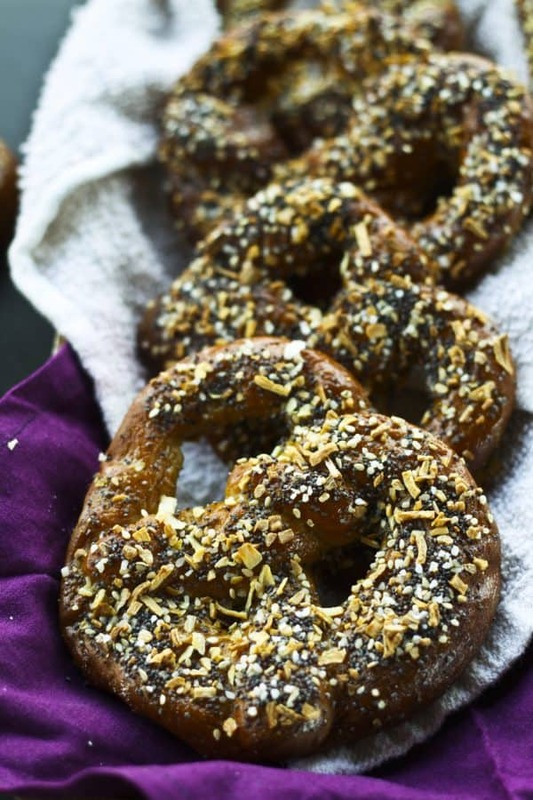 Deep, glossy brown soft pretzels topped with a crusty layer of garlic and onion bits, poppy and sesame seeds and crunchy salt like an everything bagel. Served warm with cold cream cheese, there is, quite simply, nothing better. What a way to kick of National Snack Food Month! Important Note: If you do not have teflon or silicone sheets for your baking pans, be sure to generously spray them with non-stick cooking spray (even if you use parchment paper) as the pretzels WILL stick otherwise. In a large mixing bowl, whisk together the flour, salt, malt powder or sugar and yeast. Set the whisk aside and switch to a sturdy wooden spoon. Stir in the milk and tap water until a soft dough forms. Turn onto a generously floured surface and knead, adding small amounts of flour as needed to keep the dough from adhering to the counter. You do not want a firm dough… it should be fairly slack, a little tacky and soft, yet smooth. Place dough in a clean bowl, cover with a damp tea towel and set aside to rise in a warm, draft-free place until nearly doubled in bulk and puffy, about an hour or so. In the work-bowl of a stand mixer fitted with a dough hook, combine the flour, salt, malt powder or sugar and yeast. Mix on low just to combine dry ingredients. With mixer still on low, carefully pour in the milk and water. Continue mixing on low until you have a smooth, soft, slightly tacky dough. Remove bowl from the mixer, cover with a damp tea towel and set aside to rise in a warm, draft-free place until nearly doubled in bulk and puffy, about an hour or so. Add the milk, water, flour, malt powder or sugar, and yeast to the pan of your bread machine in the order recommended by the manufacturer. Select the “Dough” or “Dough Only” cycle and hit start. Allow the cycle to complete. Line three 11×13-inch baking sheets with silicone or teflon pan liners. Set next to your work area. Turn the dough out onto a very lightly floured surface. Use a bench knife to cut the dough into 12 equal pieces. Roll each piece like play-dough until you have a snake of dough about the circumference of a Kindergarten pencil (or your index finger.) Lay the snake of dough in a u-shape. Twist the two ends together twice, keeping the base of the "u" open, then fold the twisted ends down onto the base of the "u" and gently press in place. Transfer the pretzels onto the lined baking sheets, being sure to leave generous amounts of room between them. They will expand both as they rise and again as they boil and bake. When you have dealt with all the dough, cover the pans with tea towels and let them rise in a warm, draft-free place until puffy looking, about 20 minutes. Use a bench knife to cut the dough into 22 equal pieces. Roll each piece like play-dough until you have a snake of dough about the circumference of a Kindergarten pencil (or your index finger.) Transfer the pretzels onto the lined baking sheets, being sure to leave generous amounts of room between them. They will expand both as they rise and again as they boil and bake. When you have dealt with all the dough, cover the pans with tea towels and let them rise in a warm, draft-free place until puffy looking, about 20 minutes. Mix all the topping ingredients together with a fork except for the egg. Set aside. Bring 2 quarts of water to a boil in a stainless steel or other non-reactive pan (enameled cast-iron, tempered glass, etc…) When water boils, add the baking soda. Gently lift the pretzels or pretzel rods one at a time into the boiling water. (You can boil more than one at a time, but be sure not to crowd the the pan as they will expand as they boil. Let simmer for about 45 seconds, flip the pieces and simmer for another 45 seconds-1 minute. Use a slotted spoon to drain and return each piece to its place on the pan. Continue until all pieces have been boiled and returned to the pan. Let stand for at least 5 minutes before eating. These are best enjoyed warm, but can be stored in an airtight container at room temperature for a couple of days. They can be quickly reheated prior to serving. This recipe was originally posted on February 2, 2012. I LOVE soft pretzels! I haven’t made them in far too long. These look fantastic. I have a special “Truck Day” pretzel coming up, Rachel. :-)And thank you! Come save me from myself and eat a couple of these. Whoops. Too late. These look fantastic; I look forward to making them. Two questions: If you make the dough by hand, about how long do you knead it? And is there any stage at which you can freeze them? Those are both awesome questions, Nancy. In answer to your first, about 10 minutes or until your dough is smooth and elastic. And your second question makes me super happy because, well, I won’t do spoilers, but check in here over the weekend and on Monday. But specifically? Yes. There are a couple stages where you could freeze this. Option 1: After shaping and before the second rise you can stick them in the freezer on the prepared trays. When they’re frozen solid, transfer to a freezer bag. To bake, remove from freezer, put back on prepared pans, cover with plastic wrap and let thaw and rise at room temperature until puffy looking. Proceed with directions in recipe above. Option 2: To bake all the way and freeze second (so that all that is left to do is to reheat) omit the salt from the seed/flake topping and boil/bake as directed. Cool completely on racks, put on a baking sheet and freeze, then individually wrap each pretzel in plastic wrap and put *those* in a large freezer bag. To reheat, unwrap as many pretzels as you’d like, brush lightly with water, sprinkle with kosher/sea/pretzel salt and bake in a preheated 350°F oven for 5-15 minutes (depending on the size pretzels you made) or until heated through. TADA! Wow! I want to taste these pretzels. Its seems delicious, Compare of what i eat before. Soft pretzels are one of my ALL-TIME favorite snack foods! I get a little capsy just thinking about them, too. My boys staged a soft pretzel throw-down a few weeks ago as part of a food science lesson we did for homeschool. Your end result looks much more sapidus. MORE LATIN! Or should I say “BONUS LATIN”. Oh boy. Homeschool double Latin humour. I’d better stop while I’m ahead. A soft pretzel throwdown sounds like a great idea. Did you eke some ph lessons in there? Those look gooooddd. My kids love soft pretzels – especially with chunky salt on them! Your kids and I would get along. Anything with visible salt makes me very happy! I just love pretzels! I just made mini pretzel dogs. I can’t wait to try this soft pretzel recipe. These look awesome! Where do I find the non-diastatic malt powder, amazon only had the diastatic powder? I tried to read the other comments but my brain was busy trying to process your question so I couldn’t focus. What is my favorite snack? This question needs to be answered. I’m not afraid to snack; I don’t need a special occasion. It’s not like answers weren’t popping into my head. But what’s my favorite? I regularly eat snacks for every meal when my husband is out of town. (yes, guacamole and chips for breakfast, chicken salad and wheat thins for lunch, pimiento cheese and fritos for dinner…) But what makes me get in the car and drive to the store just to buy a snack after I’ve had a rough day and really just want to watch an entire season of Modern Family in my jammies? Ranch dip with minced clams and cheesy Ruffles. This fixes broken hearts, it makes any sadness tolerable, it works even better than ice cream. I feel better because this is settled. Now there’s proof; your blog provides answers to life’s hard questions. Thank you, mighty Queen of Snacks. I have a tendency to do the same thing when my hubby is traveling. The guacamole for breakfast I’ve done more times than I can count. 🙂 Here’s a question… have you ever put Doritos on sandwiches? That’s one of my favourites. I think we should’ve been sisters. These look delicious! Perfect for Game Day! These pretzels look delicious! I’m definitely an all-dressed kind of girl. Rebecca, these are absolutely beautiful! They’re so elegantly rustic, and must make the kitchen smell amazing as they’re baking up. 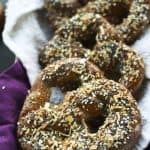 I’m a chronic snacker, too, and love the crispy ‘everything’ pretzels, but this chewy homemade version can’t be beat, I’m certain. Ever since i won’t left pretzels beside, Because i love it. 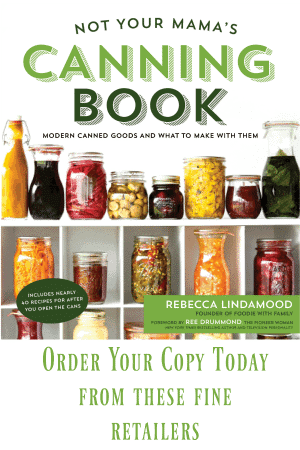 Rebecca, thanks for your tips on hand-kneading and freezing. I made a full batch and froze half. The freshly baked ones we ate tonight (with chicken-black bean chili) were terrific. Great texture, perfect flavor. I’ll let you know how the frozen ones turn out. Thanks for a fantastic recipe. Rebecca, I made these the day you posted them, and froze half the batch. The first pretzels were terrific. The second (frozen) pretzels were equally as good. I topped half the second batch with some good grated parmesan instead of the Everything topping (we live in Wisconsin, so we’re serious cheese addicts). We loved both equally. This definitely qualifies for Make-Ahead Mondays. I have become so very addicted to your blog. I have a weakness (or two) that the man in my life is very much aware of and if there is a soft pretzel in the vicinity he laughs while I unintentionally whimper because I WANT IT. What is it about them?! So when I first discovered your blog and started reading recipes and repeatedly gasped, oooh’ed and aahhhh’ed he knew he was in for something good. We ate an alarming number of pretzel wrapped smoked sausages. Truly alarming. They were delicious! And amazing! And since it’s been a few weeks i’m making them again tomorrow! Thank you for sharing culinary inspiration that makes me feel like I made a new friend! 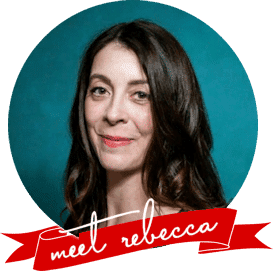 Rebecca, I stumbled across your website just today. So glad I did. I have added you to my favorites list. In my best Oprah voice….AAAAMMMMMAAAAZZZZING! Yes more CAPSY and Latin! I always burn my tongue because I can never wait long enough for the pretzels to cool. Also kudos to perfectly shaped pretzels. Mine never look this good!!! Clearly, I’m late to this party (from the comments) BUT I’m wondering how far in advance I could make these. I’m working on making snacks for the girls on wedding day to take over while we get our hair done, etc. It will start at breakfast and run into lunch time, so I want to make sure that everyone has food. Don’t need any girls passing out on the way down the aisle (to include the bride). And, I have a niece that’s allergic to spices, vanilla, chocolate, lactose, citrus, tomato (seriously–this is an issue), so there’s so many things that I make that she can’t eat. I think that this could easily be altered to where Liz can eat them. However, I don’t think that I’ll plan on leaping up at 5 in the morning on wedding day to make these…you know what I mean? Any thoughts (and I’ll take suggestions on other things…I want healthy snacks for them, but easily portable. Stephie’s sure I’m obessing over this too much, and I probably am). That was wordy, but that’s me. Thoughts?? I couldn’t possibly be more excited for this recipe. Soft pretzels ROCK MY WORLD! Soft pretzels are also one of my all time favorite things. Add some melted cheese to dip them in and I’m done. DONE!! These look amazing. Like the best pretzels ever!! Everything bagels are my son’s absolute favorite bagel, so I am sure he’d be over the moon with everything pretzels, but my daughter and I are all about http://www.a-kitchen-addiction.com/strawberry-cream-stuffed-cinnamon-sugar-pretzels/ Strawberry cream stuffed cinnamon sugar pretzels are simply divine. But as far as favorite, or at least most oft ate snackage goes, around here it has to be oil-popped popcorn, with seasoning salt added to the oil. We also like it with lemon salt or even pickle salt, or chili-lime salt. I joke that we eat our weight in popcorn weekly, although that may not be a joke. Quick, easy, cheap snackage that never gets boring. OK. 14 yr old son is The Bread Maker in this house. He has just announced he will add The Pretzel Maker to his official titles. And thanks for the Latin. He is convinced I am the only living soul familiar with the language. Including the Pope. And the ENTIRE Curia. And other homeschooling moms. Hannah STILL talks about making pretzels at your place up here many moons ago! It amazes me the things she remembers. I plan on making these this week. YUM!! I haven’t tested it that way, Billy. I’d love to know whether you try it and how it turns out if you do. No I didn’t know that about February. Good thing I found out before the month was over!!!!! Yes CAPS are appropriate for these SOFT PTRETZES. Hi read all pretzel recipes. Do you have a recipe for soft not sour dough. That are plain just a sprinkle of salt like at fairs. Hi Caren- I have many soft pretzel recipes here on Foodie with Family. You can see them all by searching “soft pretzels” using the search function in the upper right hand corner. In the meantime, this one would probably do well. Can you mix different kinds of seasoning.? Like garlic Italian spice, things like that?